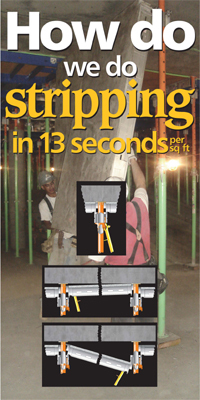 Technocraft’s Modular Shoring System is a high octane, high performance engineered modular panel shoring system. Technocraft’s Slab Decking System will be very effective for obtaining a 3-4 day slab cycle for a typical project. The shuttering speed clocked till date is approx 300 sq. ft. per man hour and de-shuttering at 600 sq. ft. per man hour. The panels are automatically wind locked during assembly which is very important at heights. The number of components is the lowest as compared to any system which is essential when working at great heights. Modular design. 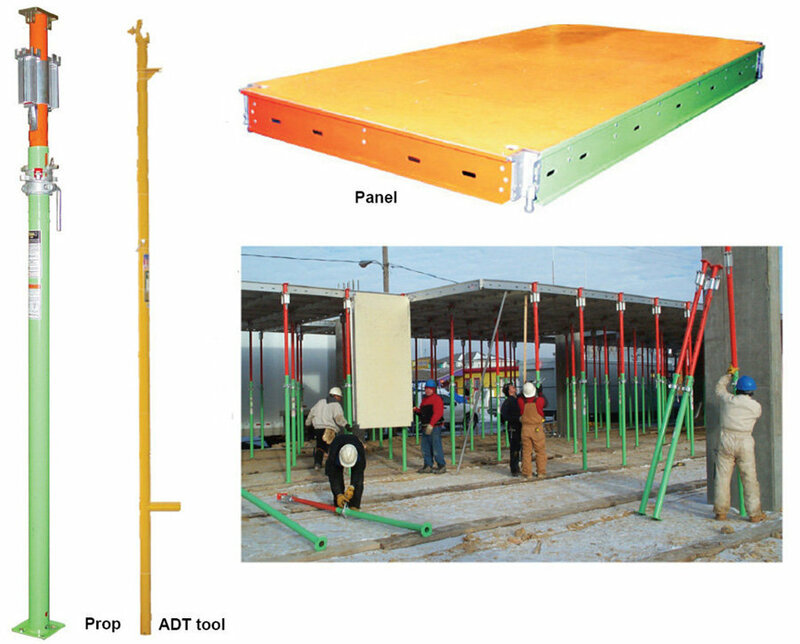 The system can be easily expanded and reduced for changing slab heights and areas. System is safely erected and stripped from the floor below. System’s Panels can be removed at 2000 psi without disturbing props or concrete. System’s Panels are wind locked automatically during assembly and this is a very important factor when using slab decking in areas prone to high winds. System can be erected in any or all of 4 directions simultaneously. System requires no "x" bracing. 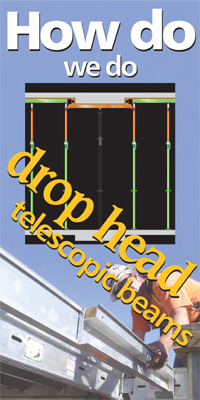 The 2 main components, Panel & Prop, automatically interlock against strong wind loads. System's heaviest component, an 8' X 4' panel, can be carried by any 2 men. System is ACI, OSHA, NSI, SSFI, ANSI, and BSI compliant. System can erect any type of building or parking garage. System’s Telescopic, Side, and End Filler Beams make shoring around columns and other interruptions easy, efficient, and cost-effective. System’s components are not welded.